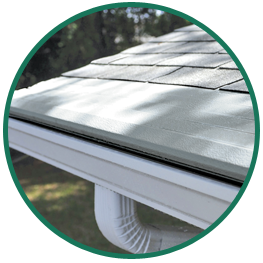 Our home protection experts at Huff ‘N Puff are what make us different from other gutter replacement companies in the Rockland County, NY area. This expertise comes from more than 40 years spent providing excellent customer service to over 30,000 customers in the area. Our extensive knowledge of gutter systems and the role they should play in protecting your home or business is one of our most valuable assets. Roof and Shingle Protection – Gutters that are working properly will always catch water as it exits your roof. It will then take that water away from your roof. When this does not happen, it leaves the water on your shingles possibly trapping it underneath causing damage to the plywood roof base. Siding Protection – Siding experts say that getting water underneath your siding is not a good thing. When your gutters are able to carry water downward without any spilling over onto your siding, you can be confident that they are working correctly. Water under siding may result in mold and damage to the walls of your home. Foundation Protection – Water that sits for any period of time near the foundation of your home is a problem for your foundation as it may cause cracking or bowing due to the pressure exerted. Your gutter system should carry the water far enough away from your home that any pooling or puddling will not cause this type of problems. Pest Protection – Your gutters can be a great pest-deterrent for your home if they are working well. 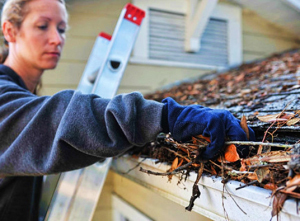 However, if your gutters become clogged with leaves from the surrounding trees, they become suddenly become very attractive to all types of critters including mosquitoes and wasps. One of the best ways that home or business owners in Rockland County, NY and the surrounding areas can help their gutters to work properly is to keep them clean! Our Gutter Helmet system is the key to simplifying that task. Instead of hauling out a ladder every few months, we can show you how this innovative system will keep debris out of your system, leaving it clear to do the very important job it was intended for, protecting your home. Give Huff ‘N Puff a call today at (855) 483-3678 or fill out our convenient online request form. We’d love to have the opportunity to help you make sure your gutter system is working properly.